Things are about to get crazy on the East Coast! 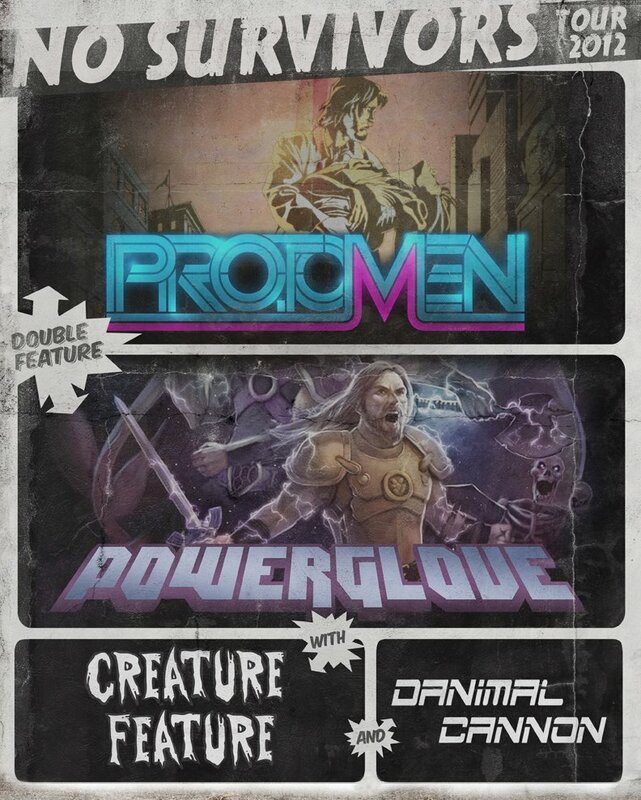 Mega Man rockersÂ The Protomen (check out our recentÂ Quick Look to refresh your ears)Â and the video game metal band Powerglove have hit the road for the next two weeks, travelling to different venues throughout several states such as Massachusetts, Tennessee, New Jersey, New York, and Colorado for the No Survivors TourÂ 2012. Coming along for the ride, chiptune master Danimal Cannon is also billed to be playing on the tour, forming an unstoppable trifecta of Â absolute awesome. For you Canadian fans out there, rejoice! The No Survivors Tour is coming to you on two separate occasions, stopping in Montreal and Toronto. WhileÂ checking out the dates and locations to plan your next move, Â you can buy tickets in advance with the links below.Â Â We promise you won’t regret it.